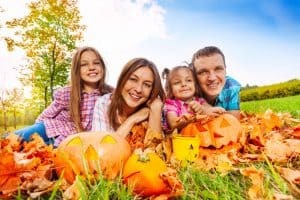 Big List Of Fall Activities For Family Fun. Fall, that time of year, where everyone is outside enjoying fall activities. The season of where leaves are changing colors, the smells of apple cider and pumpkin spice fill the air. Long nature walks to enjoy and welcome in cooler weather. Watching the squirrels gather their nuts for winter. Depending on where you live, raking leaves and jumping into them was always a fun fall activity when I was growing up. Well, not the actual raking part. Opening the doors and windows to let your house air out from being closed up from summer, is always refreshing. This time of year is where I feel more inspired to bake and break out the crock-pot. With the changing weather, you might be bringing out the light jackets and cozy sweaters. This is also a good time to slow down, unwind, and enjoy the season. Winter will be here before you know it. I like to use this time of year to do some heavy outside cleaning. Clean windows, spray cobwebs off the house. I don’t know about where you live, but the spiders seem to build a lot of webs around here. Oh and don’t forget about planting those fall annuals! What beautiful hues of colors. So, I don’t know why Fall brings such nostalgia for me, but It’s my favorite season. I will stop rambling on and on about how Fall makes me feel. 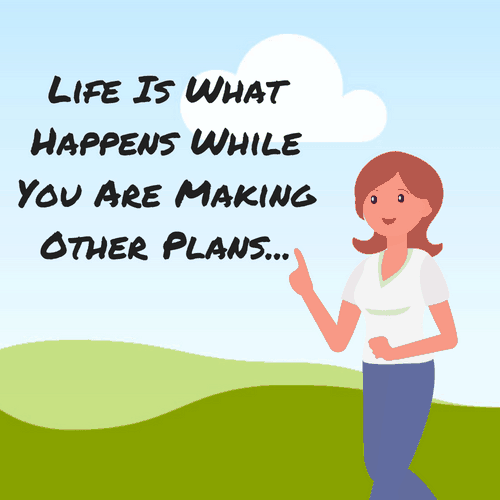 I’m going to share with you about all the Fall activities you can participate in and have fun with your family and friends. 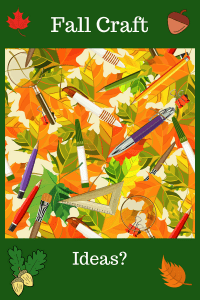 Here are some links for creative ideas on making fall crafts for kids. Scarecrow craft– A simple craft idea for grade school aged kids. Apple Paper Plate Lacing Craft– Fun lacing activity with a cute theme. Fall Tissue Paper Tree– Kid Approved! Popsicle Stick Fox & Leaf Fox– Cute activity for pre-schoolers. Toilet Paper Roll Leaf Stamping Fall Tree Craft– Easy-Peasy craft using things you already have at home. Owl Craft For Kids– This craft uses a kitchen sponge to paint with. Comes with a printable template. Button Indian Corn Craft– Easy craft using leftover buttons. Paper Plate Sunflower Craft– Simple craft using simple items. Mosaic Paper Acorn– Super fun fall activites for kids of all ages. Acorn Frame– Inexpensive craft using dollar store frames. Candy Corn Pine cones– Most people will have a Pine tree in their neighborhood or park. Or you can pick them up at a dollar store. Paint and voila! Super Cute! 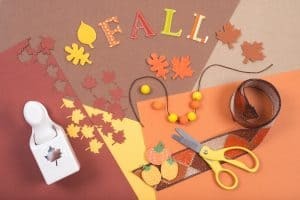 Autumn Leaf Sun Catchers– an Easy craft that will make your windows sparkle. Puffy Paint Carmel Apples– Super simple fun craft for fall activities. Apple Stained Glass Window Decoration– Mess Free activity any parent would appreciate. 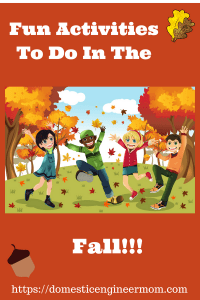 Here is a list of options you can do for Fall Activities. Most of these you can do as a family or with friends. These options have either low cost or have no cost at all. Super budget friendly. Try a few this FALL!!! 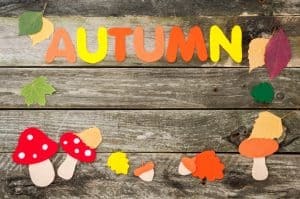 I like to add fun printables to our Homeschool that include the seasons. It’s a fun way to include some fun into learning. Here are some links to some printable worksheets that you may find useful. Pumpkin Volcano– An Erupting Pumpkin can be messy but Oh So Much Fun! 3-D Spookley the Pumpkin Math Activity– Created with straws and pipe cleaners. Building Structures with Candy Pumpkins– Build a 3-D structure out of Candy Pumpkins. Pumpkin Geoboard– Simple fun pumpkin math activity. Light Up Pumpkin– Squishy Circuit Halloween Pumpkins. Dancing Corn– Magical science activity the kids will love this fall. 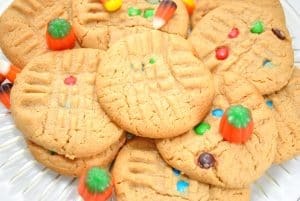 Fall Leaf Cookies– Good Gingerbread Recipe To Start Off Your Autumn Baking. Fall Harvest Chex Mix– Make this Chex mix for your next Fall Activities. Homemade Applesauce– Nothing tastes better than homemade applesauce. Go Apple Picking and turn those apples into Applesauce. Fall Inspired Cupcakes– Apple Butter Cupcakes with Pumpkin Buttercream Frosting. YUM! Pumpkin Mac & Cheese– Ooey Gooey Goodness even the kids will enjoy! Chicken Soup– Not your average chicken soup. It’s Chicken BOO-DLE Soup. Pumpkin Tortilla Soup– Healthy, hearty vegetable soup. Carmel Apple Sangria– Fall Themed Sangria will be a hit at your next gathering. Pumpkin Cornbread– Simple, easy and your family will thank you! Well, this concludes my list of great options for Fall Activities. I really hope you have liked what you have read and it was helpful. You can add a touch of the season to anything you do with this list of options. The possibilities are endless. Go out and enjoy your time with friends and family. Feel Free to leave a comment in the comment section below. As always subscribe to my email list and you will receive updates as soon as I release them. Be the first to know! I do receive a commission on any purchases made through these links. No Cost To You.